So you've watched the basic guide video, or perhaps you don't think you need to watch it, since you know the basics already. Good, here are some further pointers to specific classes. Angling your amour is a good way of bouncing enemy shells. Due to the nature of ships, you have a very effective pike front on every vessel, perfect in deflecting enemy fire. 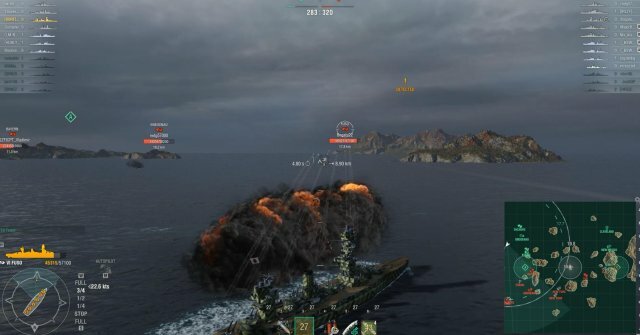 Side armour is also more effective at bouncing shells when sailing away from a target. Avoid being broadside in any ship as much as possible**. Even if your armour is overmatched by the enemy guns, you will provide a smaller profile, making your ship harder to hit. ** The only exception for this is in some destroyers. Destroyers have thin armour, in which case angling will increase the overall effective armour, allowing for higher caliber shells to arm and do full damage. A effective tactic in more maneuverable ships. Fight the enemy on your own terms by sailing away. Shells take time to reach the target, sailing away make landing hits on you more difficult. Combine this with angling to make it very hard to hit you. Travelling at an angle while sailing away offers smallest chance of getting sunk. Keep an eye on the battle as often as possible. check in which ships are spotted, where the enemy is moving. This prevents you from getting flanked, also, inform your teammates of what's happening if they are not aware. Maximize your consumables' effectiveness by using it together with teammates. Lay a smokescreen for ships in trouble, flush out destroyers and torpedoes with Hydroacoustic and Radar. Destroyers, after carriers, are likely the most important ship class in the game. They are not very difficult to get started in, but they do require a lot of knowledge and skill to be operated effectively. This is no longer part of Destroyer gameplay. It has been removed with the 0.6.3 patch of the game. Is this a driving exam? No! it's just smart play. At the start of operation, you should inform yourself of everything that you possibly can in terms of team setup, map position, cap points, possible escape routes, locations of islands. 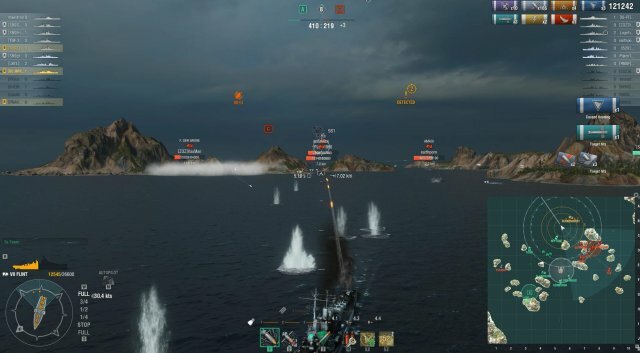 How many radar ships does the enemy team have? What is their range? Which destroyers does your team field? Which direction is the enemy pushing the most? As the ship with the best concealment, it'll be your job to go in and do the capturing of positions. As you will be on the spearhead of an attack, you will also provide spotting for your teammates. Keep in mind that firing will reveal your location. No team can successfully lead an operation without the aid of cruisers. They provide AA, as well as intelligence support, and are key to a victory in more ways than you'd think. After carriers, they are the hardest class to truly master, but will reward the wielder with high amounts of damage and enjoyable games. The most difficult part of cruisers is learning how to survive. Most cruisers lack armour, and have a relatively exposed citadel, thus being an easy target for enemy battleships. Play cautiously, make use of islands as cover. Do not expose yourself, and avoid showing broadside to enemy ships. You will likely be the bulk damage dealer. Even if that will not always be the case, you will do the most consistent damage, since the RNG on your guns is less spiked than on higher calibre guns. 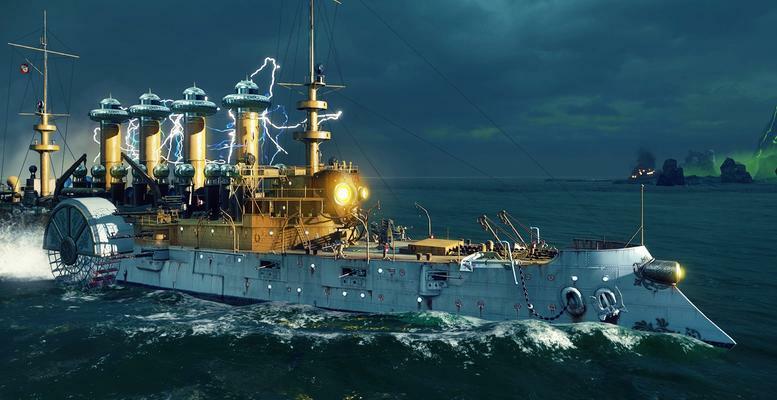 Running vital consumables like radar, hydroacoustic sonar and defensive fire, you'll be supporting your team in more ways than just by causing damage. 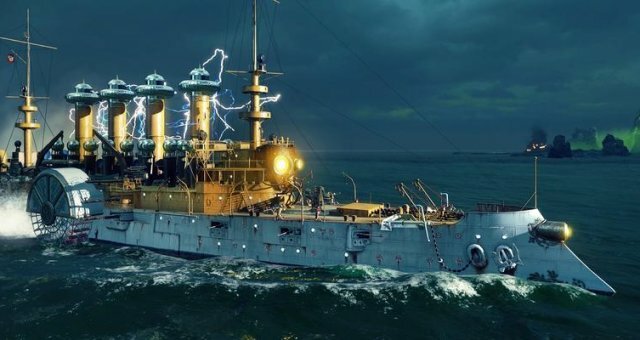 Battleships might be the easiest class to get the hang of early, but there is a lot of things battleships players must learn to make most of their ship. Battleships. Are. Slow. Keep this in mind when position yourself. Don't go off to a location where you cannot effectively push when you need to. Try to think ahead. Adding to this, battleships have a tendency to be slow on turns and rudder shifts. Don't rail-sail. Keep in mind torpedoes and enemy ships primed on you. The hardest part of sailing a battleship is allowing your ship to become damaged. As weird as this might sound, you are essentially a tank. Many players have a hard time not burning that DamaCon as soon as they're set on fire the first time. I assure you it is not easy, but it's part of playing a battleship well. If you hit that Consumable as soon as you get set on fire the first time, it will be on cooldown when you need it the most. 100% of fire damage can be healed back later. If you burn your consumable unnecessarily, it will be on cooldown when you need it the most. Always remember. You cannot heal, if you're dead. A battleship's task is to get stuck in, without dying. Keep in mind that there is often a very thin line between the two. Tanking effectively means you draw the enemies' fire, without being exposed to too much damage. It is difficult to explain this since each situation can be different. Just keep in mind that torpedoes hurt, multiple fires will wither you down and drop shells will do a lot of damage, regardless of your angle.